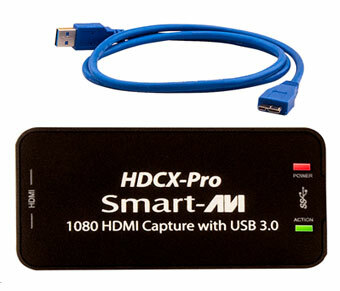 The portable SmartAVI HDCX-Pro is a user-friendly HDMI capture adaptor. With one HDMI input and one USB output that supports USB 3.0 and 2.0 devices, it's never been easier to route a camera, graphics card or HDTV source into a computer or signage player, featuring resolution up to 1920x1200. 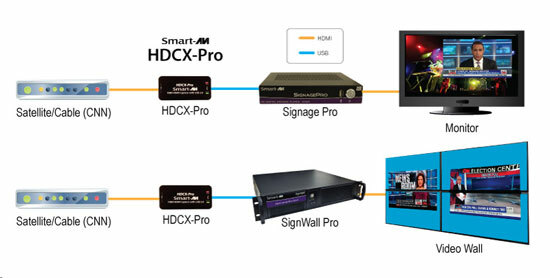 This is an extremely affordable and convenient solution to manage a wide variety of video needs with a PC, digital signage or video wall system. Audio is also supported over HDMI.